As we kick off 2019, there is some uncertainty about what the Federal Reserve will do about interest rates this year. Late last year, it seemed all but certain that the Fed would be raising rates in 2019, perhaps three or four times. However, this month, it is looking like the Fed could move more slowly on interest rate hikes. Why do we care so much about the Federal Reserve and whether the Fed decides to push up interest rates? The Federal Reserve sets the U.S. federal funds rate, which is the interest rate that banks charge each other to borrow money. Making changes to this rate is the Federal Reserve’s mechanism for influencing monetary policy. Raising this rate makes it more expensive to borrow in the short-term (and also impacts borrowers with adjustable-rate mortgages). Increases in the federal funds rate eventually lead to increases in the cost of borrowing over the long-term. The Fed has a “target” federal funds rate which is currently set to between 2.25 and 2.5 percent. Right now, the rate is in line with that target, but the Federal Reserve will adjust if it sees inflation on the rise. Inflation typically increases when the economy is doing well. If—really when—the Fed does increase interest rates this year, there will be an increase in mortgage rates. The current 30-year fixed-rate is 4.45 percent (as of January 17). The National Association of REALTORS®, along with the National Association of Home Builders, Mortgage Bankers Association and Freddie Mac, all predict interest rates will rise to above five percent in 2019 (predictions range from 5.1 to 5.3 percent). What this means is that current mortgage rates are likely the lowest we will see this year, but even the higher predicted rates are still low by historic standards. 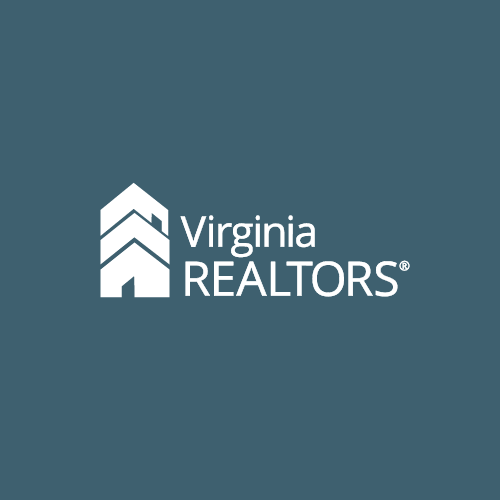 So what does this increase in rates mean for the housing market in Virginia? It is important to remember that the 30-year rate will remain relatively low. Many potential homebuyers have forgotten what a more normal mortgage rate is. For example, in the early 2000s, rates ranged from between 6.5 and 7.5 percent during a very healthy housing market. While the relationship between interest rates and home prices or housing market activity is not straight forward, it is true that mortgage rate increases have usually been accompanied by reductions in mortgage originations and home sales nationally. The reason is that the rate increase makes it more expensive to buy a home. Assuming you have a $300,000 mortgage, an increase from a 5.0 to a 5.5 percent interest rate would increase payments by about $90 per month. Not only does the interest rate increase monthly payments, it also increases the amount of income need to qualify for the mortgage. There are other factors at play that could reinforce those potential negative impacts of an interest rate increase. Unlike in the past, the housing market this year is affected by the recent Federal tax bill, its caps on the deductibility of mortgage interest, and on state and local property taxes (primarily impact Virginia’s very high-cost markets.) These policies could potentially restrain the housing market. OK, then, will higher interest rates lead to a slowdown in the market? This housing market cycle is very different than past cycles. Rates have been very low for a long time and there is still pent-up demand for housing. Furthermore, there are economic fundamentals that point to continued strength in the housing market. Strong job growth, low unemployment rates, and wage increases all suggest increases in the demand for homeownership. Demographic factors—primarily the huge Millennial population that is starting to feel more economically stable and is reaching homebuying age—will have a positive impact on homebuying activity as well. Therefore, positive economic indicators and demand from Millennials should support a strong housing market, even as interest rates rise. The economic fundamentals in your local market likely will be the most important determinant for home sales and prices in the year to come. As More Millennials Live at Home, Will the Market Suffer?